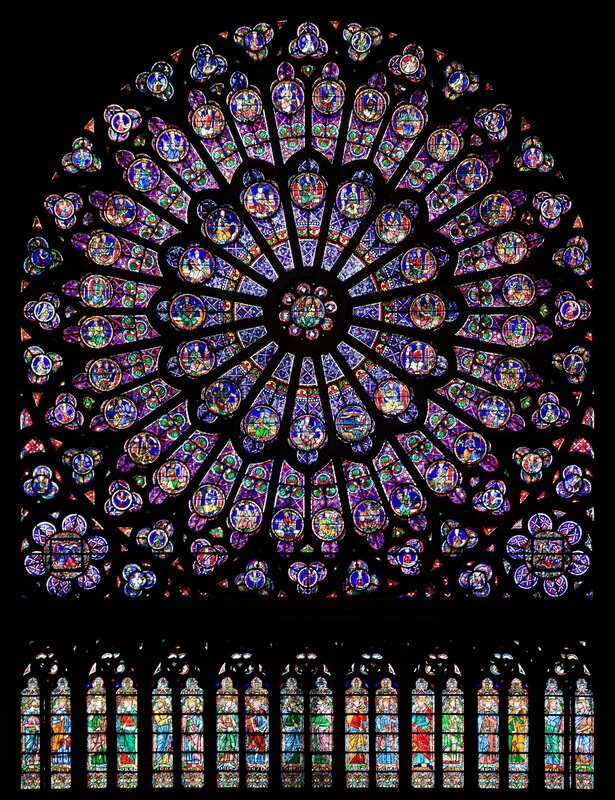 With the historic Notre Dame de Paris cathedral imperiled by a large fire, it’s important to recall some of the incredible history of this 856-year-old church, monument, and cultural icon that sits at the heart of France, and to reflect on the incredible art and history inside the building, which administrators say now all may be lost due to the blaze. The new bells of Notre Dame de Paris on public display in the nave in February 2013, before being hung in the towers of the cathedral. 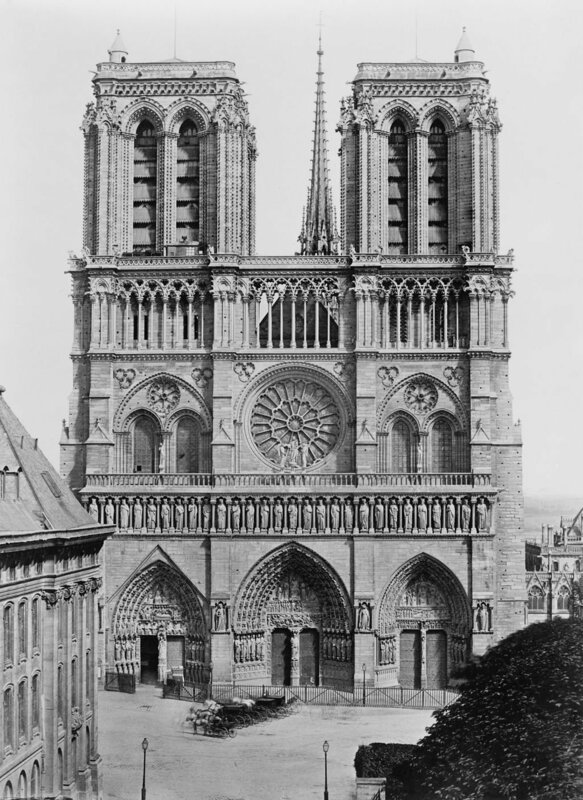 Construction on Notre Dame was initiated in 1163 A.D. by King Louis VII, an ambitious French king who wanted to put Paris on the map of Europe with a huge new church. While some of Louis’ other ventures, such as the Second Crusade, didn’t shape up so well, Notre Dame went up fairly quickly for a stone cathedral in the Middle Ages, being mostly finished by 1260 but receiving its finishing touches in 1345. 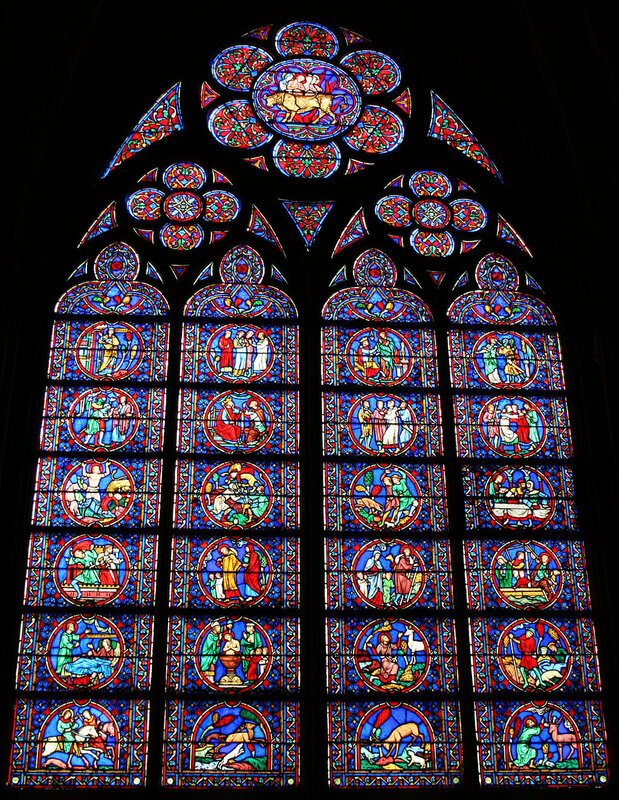 Like most public buildings in the Middle Ages, the Gothic-style cathedral was a “poor people’s book,” covered with sculptures, paintings and stained glass windows depicting various scenes from the Bible for the illiterate majority of the population to understand. Some of the most widely hailed works of art in Notre Dame are the Last Judgment, over the central western portal, and the Pieta, made by Nicolas Coustoues in the early 18th century, which depicts Mary holding Jesus’ body after he was taken down from the cross. At a low point for French history was the crowning of Henry VI as King of England inside the church in 1431. France was on the verge of losing the Hundred Years’ War, and Henry claimed to have inherited both the French and English thrones. However, Henry lacked the genius of his predecessor and failed to reverse the trend of French victories begun by Joan of Arc, a French peasant girl who led French armies to victory before being executed for her claims of being visited by angels and refusal to stop dressing like a man. Joan was subsequently canonized in Notre Dame in 1909. 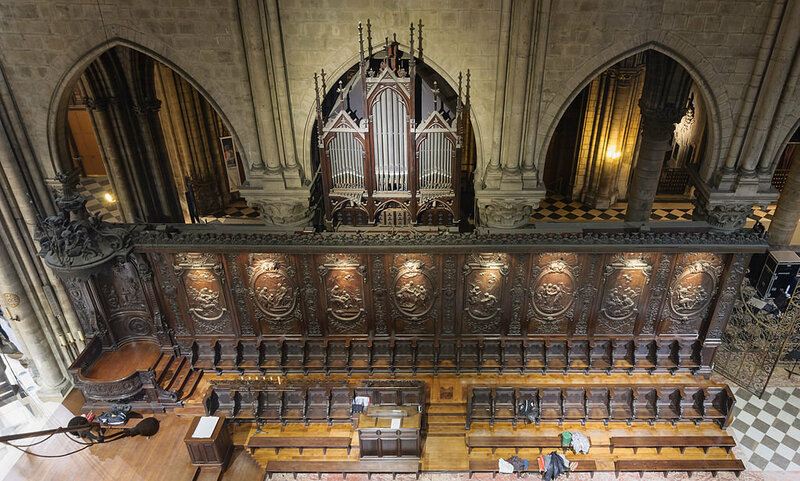 The cathedral’s huge pipe organ also dated to the 17th century and was still partially functional before Monday’s fire. Notre Dame de Paris: the stalls designed by Robert de Cotte (18th-century) and the choir organ seen from the gallery. 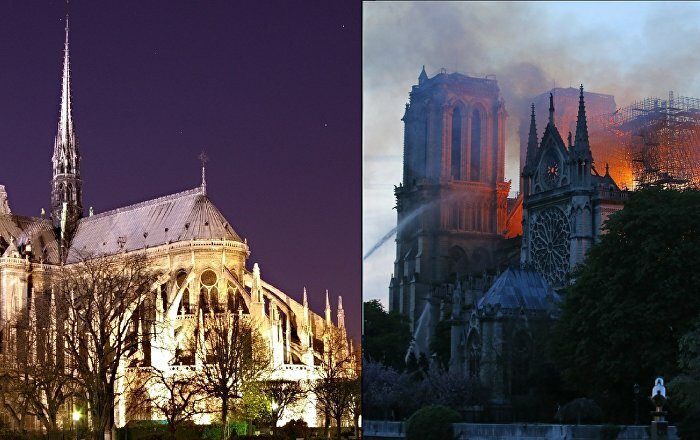 Over the centuries, though, interest in Notre Dame began to fade from prominence and by the time of the French Revolution was in a state of total disrepair. 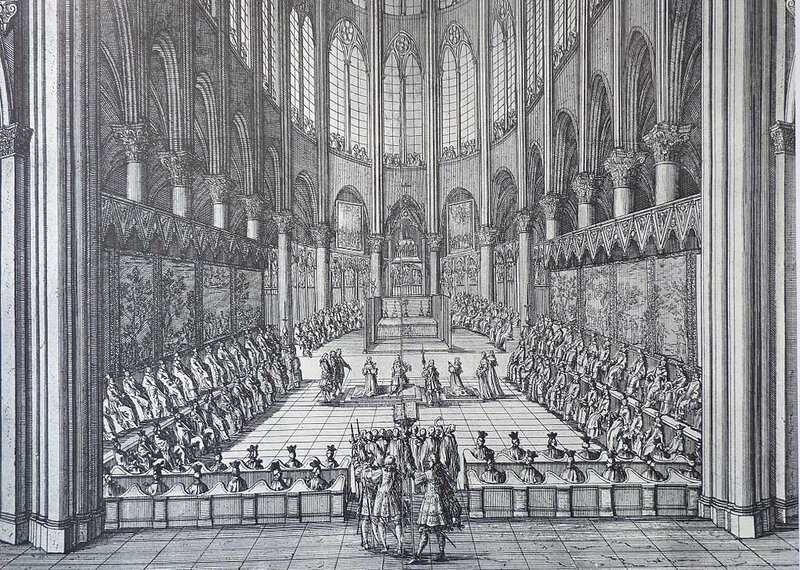 In 1793, the French revolutionaries rededicated the church to the Cult of the Supreme Being, and many of the cathedral’s treasures were destroyed, including 28 statues of Biblical kings, which the revolutionaries symbolically beheaded, mistaking them for images of French kings. However, by 1802, Napoleon Bonaparte had agreed to renovate the church, and he was coronated as Emperor inside Notre Dame in 1804. 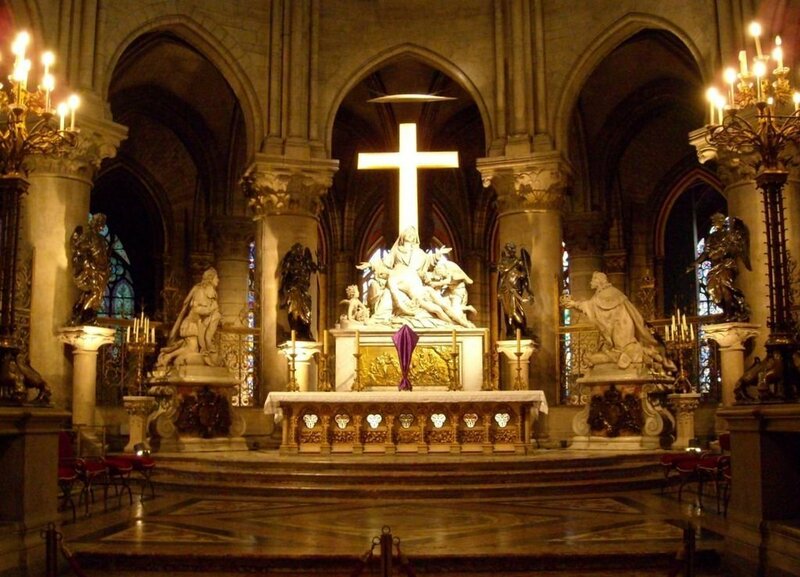 The turning point for popular opinion about the church came in 1831, when novelist Victor Hugo published “The Hunchback of Notre Dame,” which waxed lyrical about the giant stone structure with such quips as “Time is the architect, the nation is the builder.” Further restoration efforts followed and the cathedral was stripped of grime and its damaged sculptures restored. 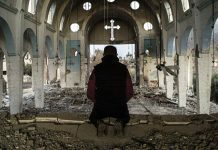 It was during this period that the spire was added, which onlookers watched in horror Monday as it plunged through the roof, engulfed in flames.